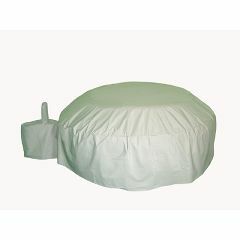 This Cover provides our new Spa2Go with excellent protection from all the outdoor elements! It's very easy to put on and take off. And with the extremely reasonable price of the Spa when purchased through Allegro Medical, it was like getting the Cover FREE!